The iPhone 5s was expected. The iPhone 5c, on the other hand, was merely rumored. Now that Apple has taken the wraps off of two new iPhone products, it's the newest range that strikes us as the most curious. For months, pundits have wondered if and when Apple would attack two obvious markets: the large-screen market -- which Samsung is lapping up in supreme fashion at the moment -- and developing markets. 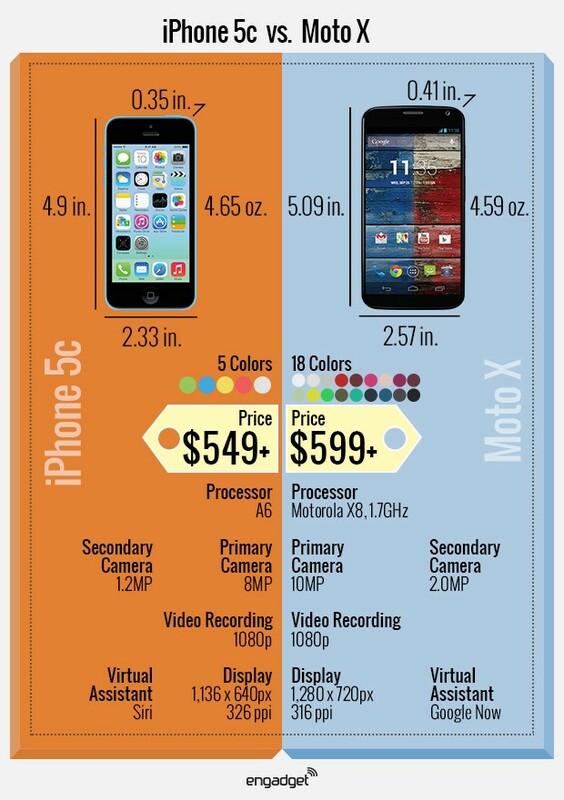 The iPhone 5c addresses neither of those, which begs the question: who exactly is Apple targeting? Perhaps the biggest debunk of Apple's entire event was that the iPhone 5c was going to be a "low-cost device." Given that carrier subsidies can and will vary across the globe, let's look at raw pricing. The base 16GB iPhone 5c will sell for $549 sans contract in the US; a day ago, the base 16GB iPhone 5 was listed for $649. In other words, the iPhone 5c -- which is likely monumentally less expensive to assemble and uses dramatically less costly materials -- is priced just 16.6 percent less than the phone it replaces. One could argue that Apple is potentially saving even more than said difference by relying on plastic for the exterior. The bottom line? The iPhone 5c is a high-margin device, just like every other phone that Apple has ever built. In my estimation, this is Apple's attempt to make the iPhone lively again. After six years, a certain amount of fatigue has set in. The "throw colors at it" approach has worked beautifully for Apple in the past. The company's sauced up a variety of previous iPod products with new hues, and remember: this is the company that once offered socks in a variety of colors. The iPhone 5c isn't for feature phone users in emerging markets. It's also not for the spec hounds who will be buying an iPhone 5s regardless. By and large, it's a marketing tool to get the masses to pay attention to the iPhone name. Mark my words -- the first prime-time iPhone ads you'll see following today's event will not highlight the iPhone 5s; Apple's already planning to sell one of those to almost every iPhone 5 owner. What you'll see instead are buckets of paint, upbeat music and a revitalized theme surrounding the word iPhone. The iPhone 5c, simply put, is for those who've grown numb to Apple's largely evolutionary takes on its primary iPhone range. It'll attract a younger audience that cares less about finely beveled edges and more about playing Connect 4 on their iPhone case. It'll cater to the same crowd that has looked longingly towards the $599 (again, off-contract) Moto X -- a phone for the mainstream, and a phone that's as colorful as one's soul. In a way, this is the anti-Moto X. From a price, spec and feature perspective, it's a match that's too close to call. The iPhone 5c's camera has an edge on the Moto X, but the X's Active Display is a boon for notifications. As these things tend to go, a lot of it boils down to ecosystem preference. The iPhone 5c is being built for the same audience as the flashy iPod nano, and moreover, Apple built it for those on Wall Street who feel that it simply must attract new markets to stay atop its game. Apple never showed intentions of racing the Nexus 7 to the bottom in the tablet game, and the iPhone 5c is proof that it won't do that in the phone arena, either.